The first golden age of television is generally considered to be from the mid-1940s until around 1960. TV shows were mostly live back then and included everything from “Peter Pan” to “Twelve Angry Men” — as well as Shakespeare, ballet, and classical music performances by the likes of Leonard Bernstein and Toscanini. That’s some serious high culture. In the early 1960s, technology, in the form of videotape, which allowed producers to make movie-like shows easily and cheaply, swept across the business and effectively ended the era. Today we’re in another golden age of TV, also brought on by new technology, in this case cable and now streaming. As was true 70 years ago, we’re also seeing some amazingly high-quality content. There’s also a massive quantity of shows being produced (more on that in a second) all of which has created a highly unsettled business environment for TV producers (positive for them) and TV distributors such as networks, cable companies, and streaming services (mixed for them). There’s sure to be a shakeout, but for now the customers (this is us), are basking in the rays of endless, dare I say, peak content. There sure is a lot to see. It used to be that I’d at least heard of the shows people talked about in the office. Now it’s gotten to the point where there’s too much to keep track of, never mind watch. How much more? Analysis by the go-to guy for tracking this, FX Networks CEO John Landgraf, shows the number of scripted shows (no reality, sports, news, kids shows, etc), has climbed from 182 shows in 2002 (pre-streaming), to 216 in 2010, to a mind-boggling 495 shows last year, including 160 from streaming services, a tally that exceeded broadcast for the first time. Wow. I recently sent out an email to the Yahoo Finance newsroom asking folks about their favorite shows. The response was fast and furious, (like a sign-up for free tacos or some such) i.e., people really care about their TV shows! Fifty-seven people weighed in, naming 146 different shows. Of that total, 50 were from streaming services, 37 network, 34 cable, and 25 premium (like HBO.) Favorite shows: “Game of Thrones” (22 mentions), “Big Little Lies” (19), “The Crown” (10), and “Stranger Things” (10). Of course, this is a tiny sample of a coastal media elite, but nonetheless, I find it eye-opening and a real power display by streaming, which bodes well for Netflix and Amazon, et al (even with HBO’s GOT at No. 1). Rich Greenfield, media analyst at BTIG, agrees. “Streaming is going to win, TV is going to lose. I think TV is in deep, deep trouble. [There is a] loss of advertising dollars, [and the] best content is not on TV. TV is for sports and people who can afford for it,” he says. Traditional media companies are fighting back, of course. Hulu is a consortium of legacy media companies, and Disney, NBCU, and Time Warner have all announced streaming services to be launched soon. 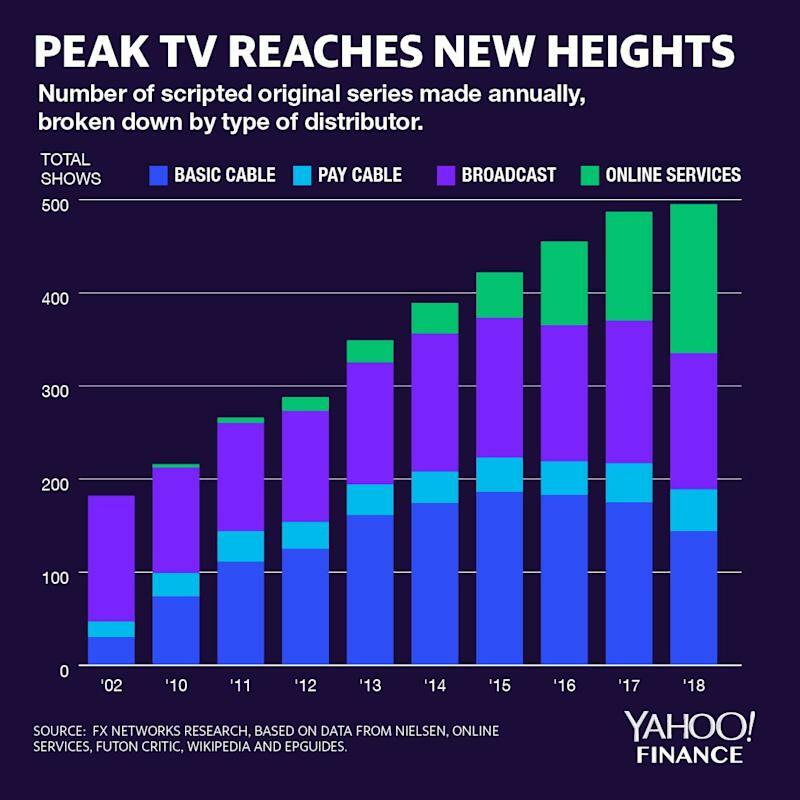 Alan Wolk, co-founder and lead analyst at TVREV, and author of “ Over The Top: How The Internet Is (Slowly But Surely) Changing The Television Industry ,” says longtime viewers will keep cable in business. “Cord cutting has been fake news for a while. If you look at the stats, it’s still less than one percent. The average age of viewer is over 50. Those people aren’t dying anytime soon,” he says. I agree that despite Netflix’s slightly light earnings report, it’s hard to bet against it. 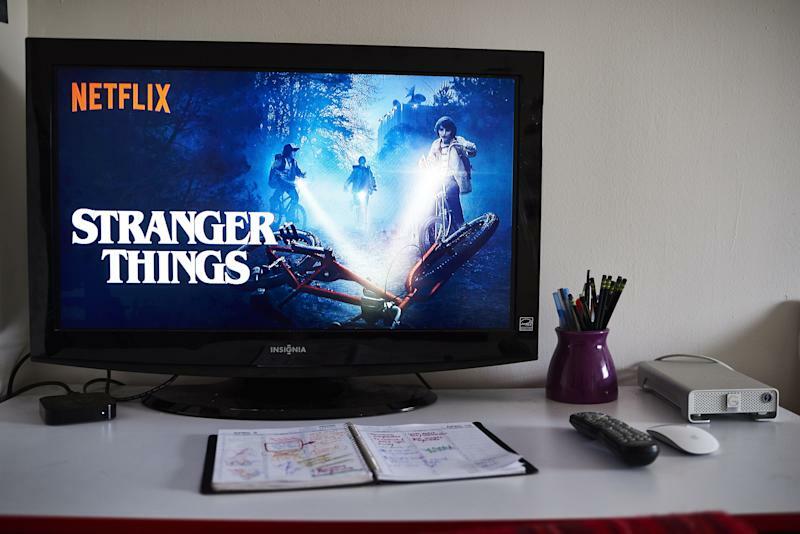 International growth was strong and James Wang, research analyst at ARK Invest, told us he sees Netflix doubling its subscriber base to some 200 million in five years, (from around 140 million) which the company could do if it maintains its current growth rate. Later, Wang says when streaming growth slows, Netflix could perhaps move into gaming, sports, or news. While Netflix could end up as the Sun King of the golden age, other companies will scale back. Already there are signs the business is getting plenty filled up. Walmart has just decided not to launch a streaming service . Not to worry though — you still have 495 shows to watch. So enjoy the new golden age. Good luck keeping up.